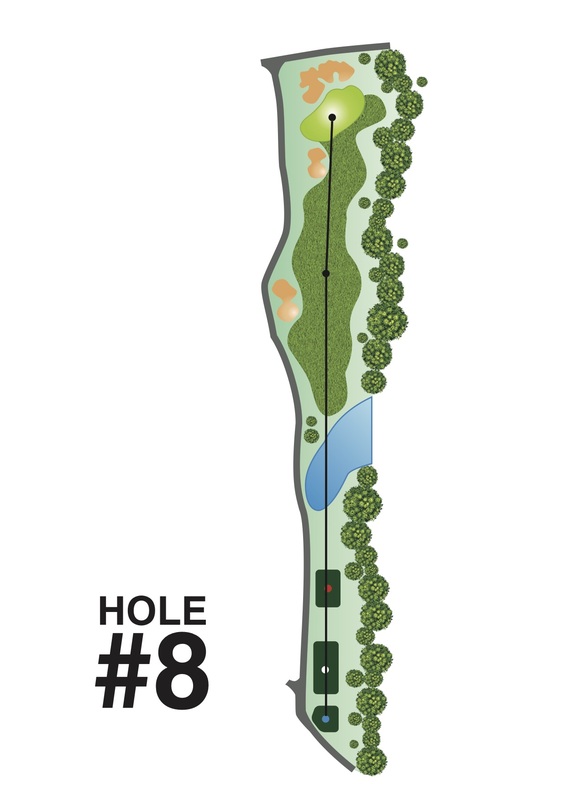 This short par 4 played over water to a wide fairway looks deceptively easy but an accurately placed drive is required, preferably short of the bunker, otherwise either a bunker recovery will be required or a difficult recovery from steeply sloping rough to the right. From the drive target area, the approach is uphill to a wide green closely guarded by large bunkers to the left front and rear and by steeply sloping surrounds elsewhere. Successful recovery from an inaccurate approach will be challenging.